The proposal by the home team of Hyperloop Netherlands was in many ways characteristically Dutch: socially conscious, pragmatic and creative in its approach. If built out to its final phase, a “Randstad” loop that would connect all the major cities and airports of the Low Countries in a metro-like system. Imagine Amsterdam to Rotterdam in 10 minutes. 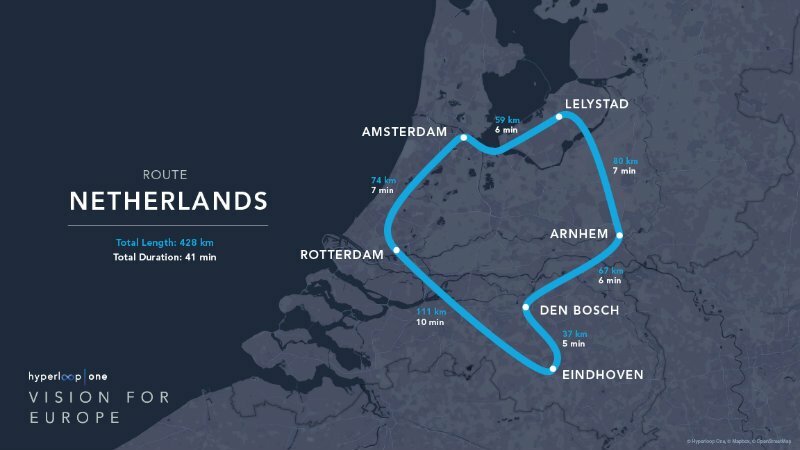 The Hyperloop Netherlands network would turbocharge its domestic economy while keeping its logistics capabilities high atop the global rankings for good. Platooning is a technology which enables trucks to drive in a platoon. Several trucks drive one after the other, and only the first one is actually driven by a driver. The other ones simply follow the first truck automatically. Because of this technology trucks can drive closer together, which lowers the impact on traffic and increases the efficiency with which they move. In 2015 the Dutch government announced its intention to become a testing ground for platooning and self-driving technology. The first live test in the Netherlands was in 2015. 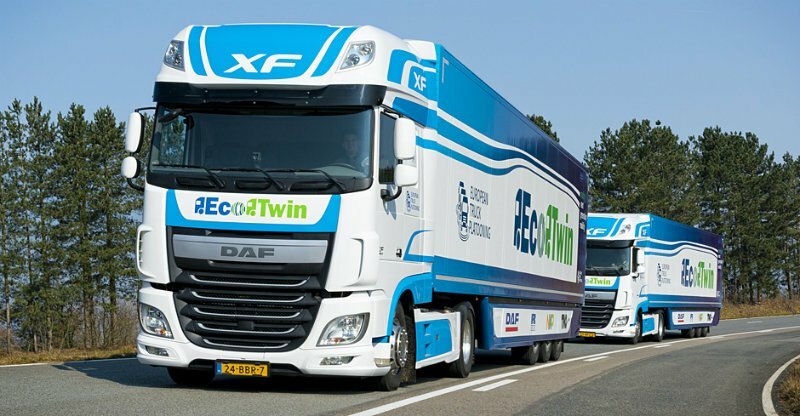 The picture below shows 2 DAF Trucks platooning. The Dutch are also at the forefront when it comes to solar powered cars. Teams from Delft University have been winning the Bridegstone World Solar Challenge for six years in a row. The last time Twente University came in second in the race that is dubbed the Formula One for solar powered cars. The team of TU Eindhoven one the category for family sized cars. It is no wonder that one of the latest start-ups launching a fully solar powered car is Dutch: Lightyear. Their first car, adeptly called Lightyear One, is a battery powered car that charges with sunlight. The range on a full charge is 800 kilometers. As it depends on solar power, location is a big factor when it comes to the efficiency of a system like this. Lightyear says its car can operate for months at a time in a country like Hawaii without additional charging. In Hawaii it can run an estimated 20,000 kilometers per year on solar power. In Rotterdam, where I live, that would be 10,000. The Delft University of Technology already is at the forefront of Hyperloop research. 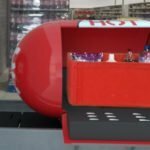 It was a team from this University that won Elon Musk’s Hyperloop Challenge in February of this year. They developed a prototype of a Hyperloop capsule that ran in the test tube at the SpaceX facility in California. 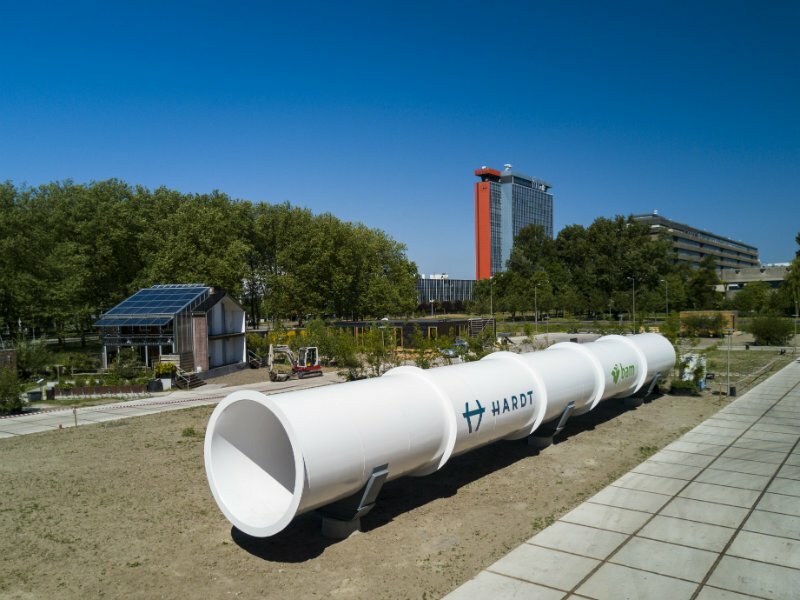 Dutch start-up Hardt, which is a spinoff of the winning Hyperloop team has recently revealed their own Hyperloop test-tube near the University. It is a 3o meter test tube for low speed testing of the levitating technology and safety systems of the capsules that will move through the Hyperloop system they are developing. The next phase for Hardt is a longer track to test the capsules at speed, cornering and switching lanes, to be completed in 2019. Then, in 2021 they want to start building the first actual Hyperloop connection between two cities. So Hardt is working hard to make the minister’s ambitions a reality. There are quite some challenges ahead. 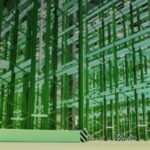 There are various companies working on Hyperloop concepts, but we have not yet seen any numbers when it comes to the cost of building a Hyperloop system connecting multiple cities. For this to work there should be a pan-European Hyperloop network. I recently attended a presentation at Delft University about the Hyperloop, where some of the challenges ahead were discussed. Safety & Security: The Hyperloop network will entail miles of tubes in which the capsules move in a vacuum. Damage to the tube can be dangerous as that can lead to sudden decompression, similar to what happens when a hole is punched in a plane at high altitude. High Speed: The Hyperloop system will be used to transport people and goods from A to B. The high speeds of the Hyperloop (970 km/h or 600 mph) in itself is not a problem. People can travel at that speed without issues. The problem is acceleration and cornering. G forces come into play. There is a maximum G Force people can endure, but the question is what a comfortable number is. Comfortable would be 0.5 G. This means that if the Hyperloop would need to make a turn at full speed, this would take 16 kilometers. In crowded countries like the Netherlands, this is almost impossible above ground. Real Estate: A lot of ground needs to be covered. The question is: will this be above ground or under ground. Tunneling increases the complexity of safety measures and decreases the risk of damages from outside forces. In February of 2016 Amazon’s Jeff Bezos announced plans to test delivery drones in the Netherlands. As of today these tests have yet to be confirmed. 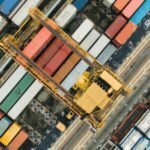 Drone regulations in the Netherlands don’t allow for deliveries by drone at this time. 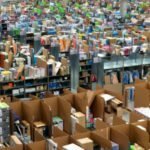 According to Dutch news site Tweakers, the institution responsible for issuing the necessary permits had not received any request for drone tests from Amazon around the time the news broke.